BUT YOU CAN ALSO READ IT ON MANY OTHER DEVICES! 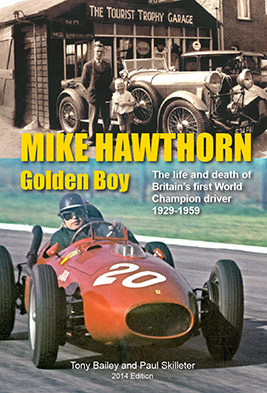 To order/download the book, just browse directly to Amazon via the button at the bottom of this page and order from there, asking to download to a Kindle or the Kindle Reader (see below) on your computer, phone, tablet, iPad etc. 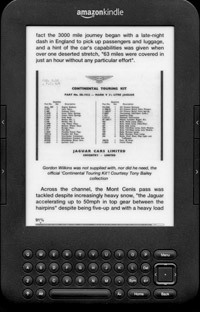 Please note that you do NOT need an Amazon Kindle ereader to view this book on many devices! 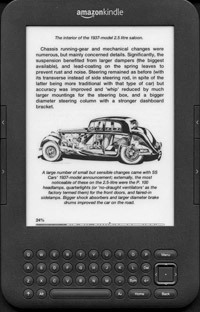 Amazon supply FREE apps that you can download and then use to view any Kindle format publication on a variety of equipment. You can also download a sample from this and any Kindle book via Amazon for free! 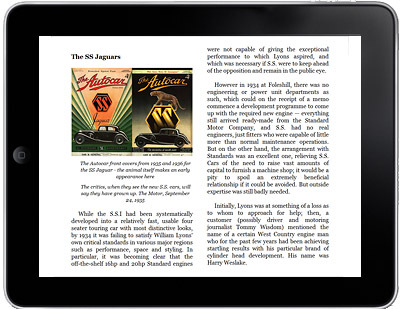 Note that you will need to download and install the reading app on your device first if you do not own a Kindle reader. (download on to your device via links above). 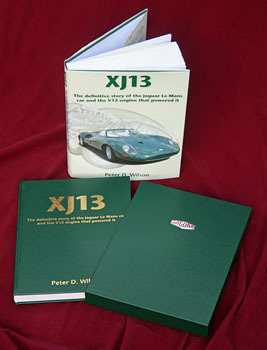 Well, it is now over 23 years later and although in the meantime Jaguar have indeed offered four wheel drive and various equivalents of the Mk 2 saloon (in the forms of the X-TYPE and S-TYPE), no new edition of the book has ever appeared. 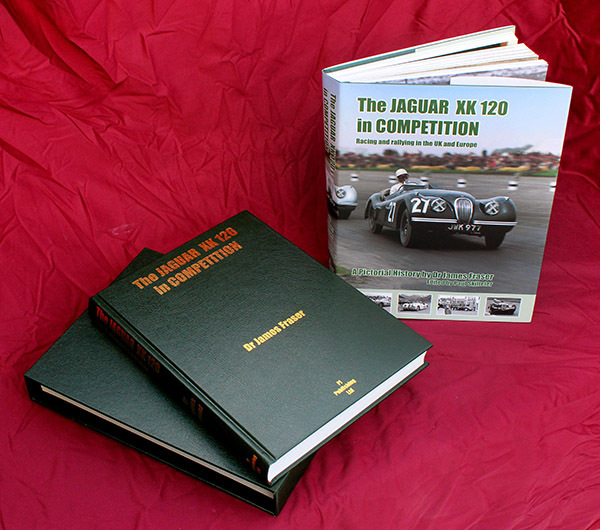 This has partly been due to my not being able to devote the time to a full revision, but mainly due to the commercial risk involved in printing a 650+ page book which would have an unknown sales potential in today's world. However, at the suggestion of my friend and colleague Tony Bailey, we have decided to issue parts of the book in electronic form. 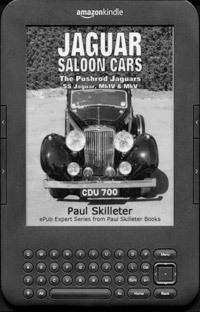 The first of these e-books in Kindle format you see here is essentially the three chapters from Jaguar Saloons which cover the 'pushrod' cars: that is, the saloons produced from 1935 to 1951. 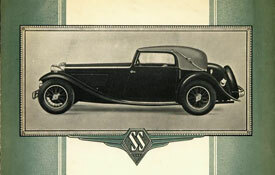 These succeeded the side-valve engined S.S.s and Swallows, and were in turn replaced by the XK engined models. 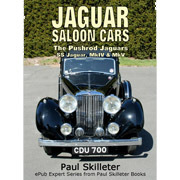 One reason for this choice of subject is that interest in the pushrod Jaguars has grown rapidly since the beginning of the new century, to the extent that a 'Mk IV' Jaguar, for instance, now commands a considerably higher price than a Bentley saloon of equivalent age and condition – a reversal of the situation when the cars were new! 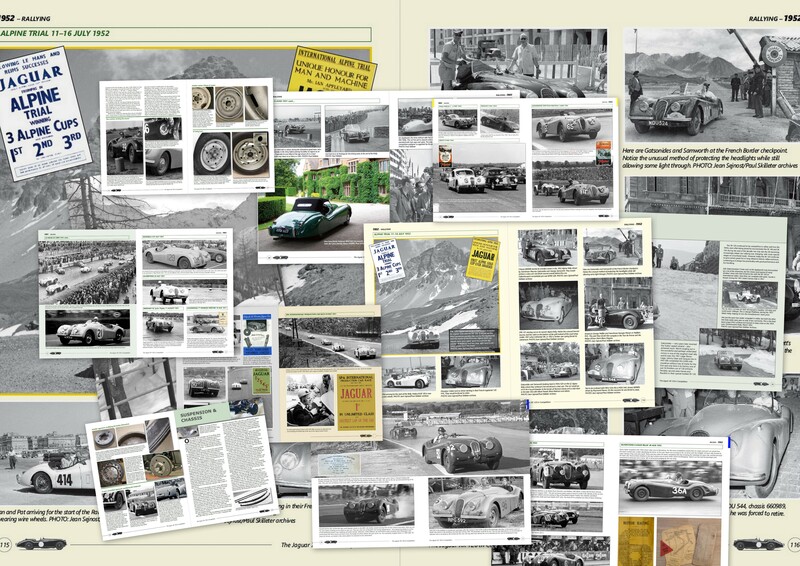 However, there is little in the way of reliable material about these cars available today, so we believe that this new e-book will be appreciated by a new generation of owners and enthusiasts. 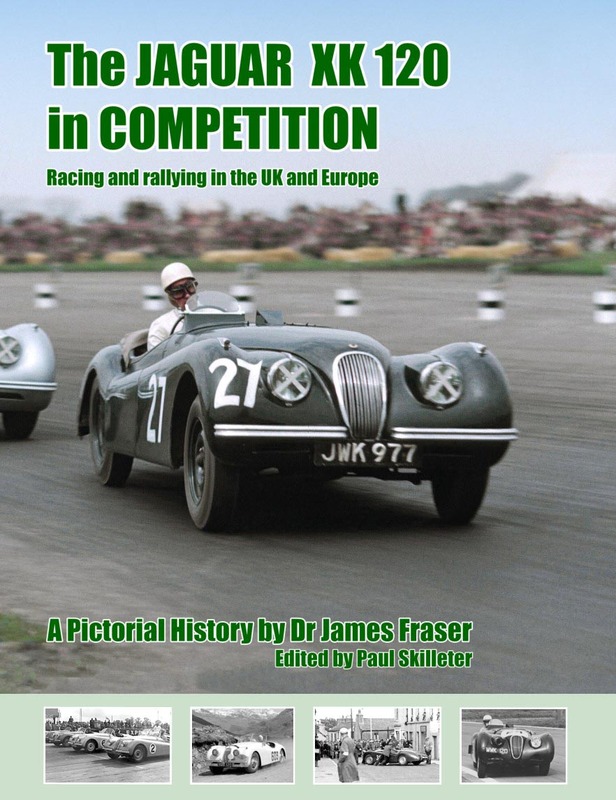 The text is largely as found in the 1988 edition, though I have carried out some corrections and added some useful updates based on further knowledge acquired since (and in the intervening years I have gained further practical knowledge and insights through the ownership of 1936 2.5 litre and 1939 3.5 litre saloons). However, more is being learnt all the time and I would welcome suggestions from readers which would improve the usefulness of this book to all. 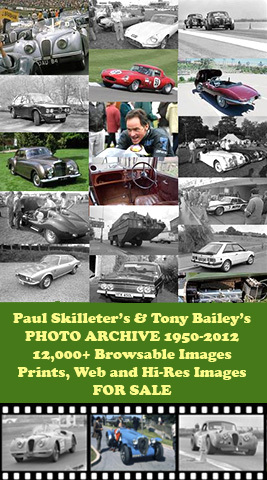 Over 140 images are included, some from the original book with new ones added, many in colour if your reader supports it. PS - don't forget that you do NOT need an Amazon Kindle ereader to view this book! Amazon supply free apps that you can download and then use to view any Kindle format publication on a variety of equipment including the PC, Mac, iPad ,iPhone, iPod Touch, Windows Phone and Android. 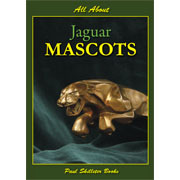 You can also download a sample from this book and any Kindle book via Amazon for free!